Anna McMullen is originally from Monroe, Louisiana, and has the last spent seven years in Williamsburg, Virginia, while attending the College of William & Mary for both her undergraduate and law school studies. Anna graduated with a double-major B.A. in English and History from William & Mary’s undergraduate university while also playing Varsity Golf. As a member of the golf team, Anna was a three-time Women’s Golf Coaches Association All-American Scholar, and was selected as a member of the Colonial Athletic Association All-Academic Team during her senior season. Anna also spent a summer abroad in Florence, Italy, where she studied Italian language and Florentine art. Anna graduated from William & Mary Law School with a Business Law concentration J.D. in May 2018. In law school Anna served as an Articles Editor on the William & Mary Bill of Rights Journal, and was selected as President of the Alternative Dispute Resolution team during her third year. As President, Anna helped develop a more robust mediation training program, and competed in national advocacy events throughout the country. Upon graduation, Anna was inducted into the nationally recognized Order of the Barristers to acknowledge her commitment to and excellence in client advocacy. The ADR Team gave Anna her first experience with zealous client representation, and she also spent time working with the Lewis B. Puller Veteran’s Benefits Clinic alongside other students and faculty to assist former servicemembers in receiving benefits. Anna has worked in a variety of legal practice areas including employment law, business law, and family law. 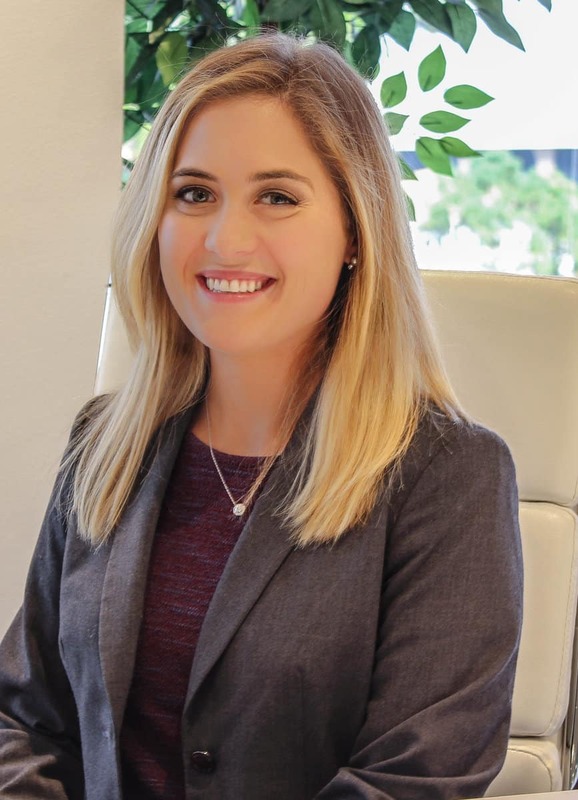 Anna recently became a licensed attorney in the State of Texas, and she is excited to bring her enthusiasm for helping clients to the Amaro Law Firm. Since moving to Houston, Anna is thrilled to become a full-fledged Astros fan, but still pulls for her beloved New Orleans Saints. Anna spends her free time cooking the Louisiana classic dishes she grew up eating, watching too many documentaries, and spending time on the golf course without keeping score. Ms. Dunham solidified her experience in personal injury both during and following law school while interning for Nielsen & Mukerji and The Merman Law Firm. She was hired as an associate attorney by The Merman Law Firm following her bar passage and continued to develop in the areas of personal injury, civil rights, and mass torts. Ms. Dunham began working for Barton Law Firm and The Luke Law Firm as an associate attorney to both firms in April of 2014, where she managed both pre-litigation and litigation dockets, handling civil rights cases involving excessive use of force by police officers, first-party bad faith insurance claims, mass torts, and personal injury matters involving bad pharmaceuticals, product defects, commercial motor vehicle collisions, toxic plant releases, premises liability, dog bite injuries, food poisoning, and catastrophic work injuries.Ms. Dunham is a passionate, diligent, hard-working attorney with an inherent sense of justice and a mind for utilizing procedure to build a winning case. She joined the Amaro Law Firm in October of 2016. In her spare time, she enjoys volunteering, surfing, kickboxing, and playing billiards competitively. William & Mary Law School, 2018 J.D.